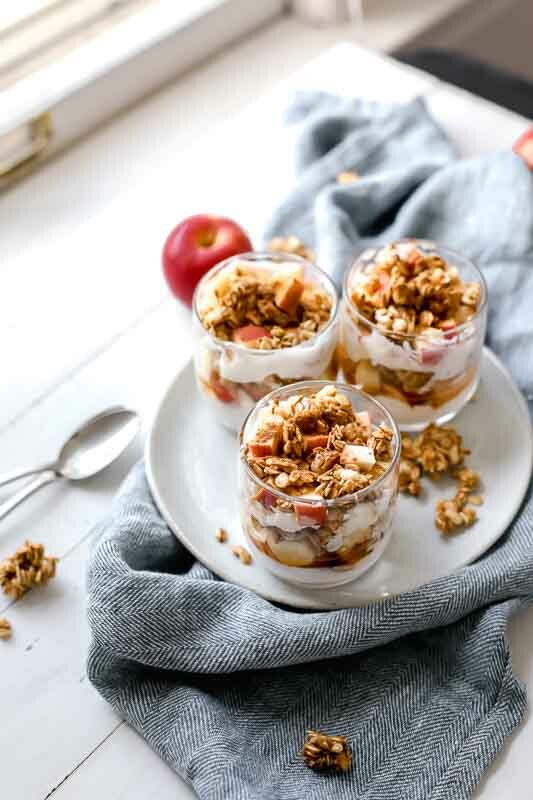 Starting with this delicious Healthy Apple Crumble Parfait! 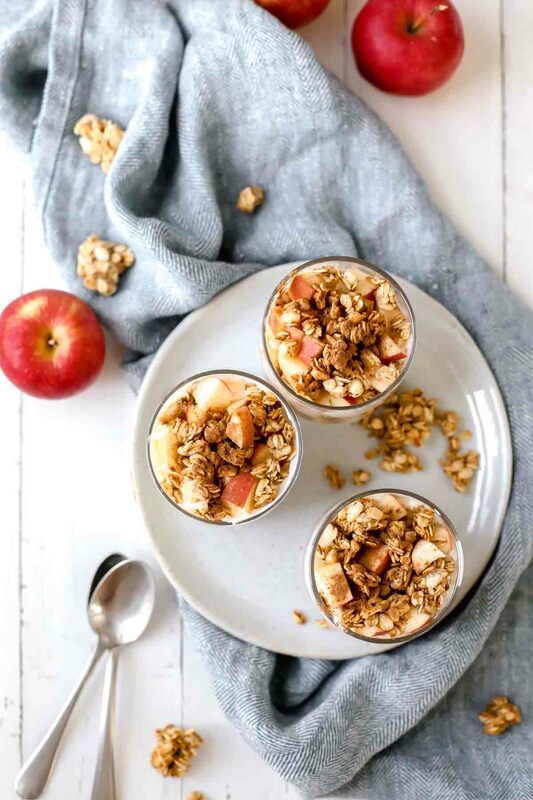 This Healthy Apple Crumble Parfait takes about 5 minutes TOTAL to make from fridge to first bite! Annnnnnnd it’s like a dessert breakfast! Dessert or breakfast. Dessert AND breakfast. All of the above! Personally, I enjoy it chilled. 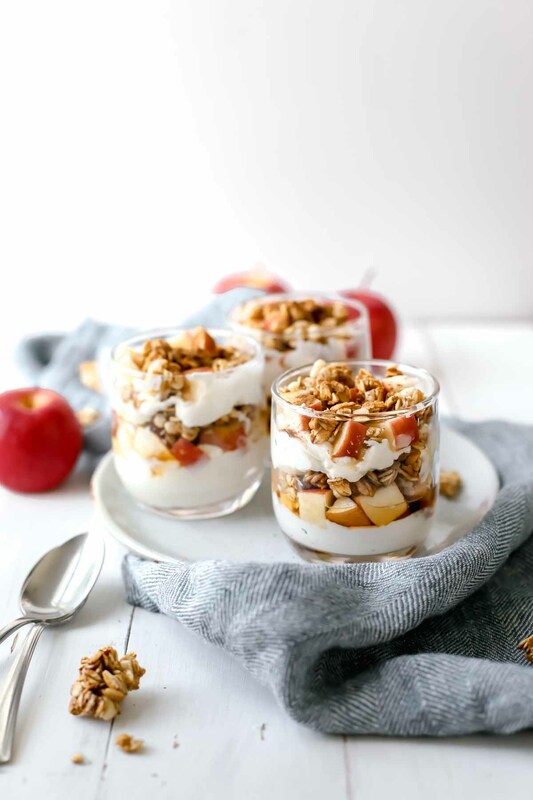 However, you can heat up the apple and honey before adding the granola and yogurt if you’d prefer a hot healthy apple crumble parfait! Perfect first thing in the morning OR as an evening post-dinner dessert/snack. SO delicious, y’all! For this recipe, I recommend using a fall-flavored granola, like this one! However, homemade granola works great too. Also, I personally have a crazy love for this yogurt! It’s creamy consistency takes this recipe to another level! Also, feel free to make this recipe your own! You pretty much can’t mess it up. 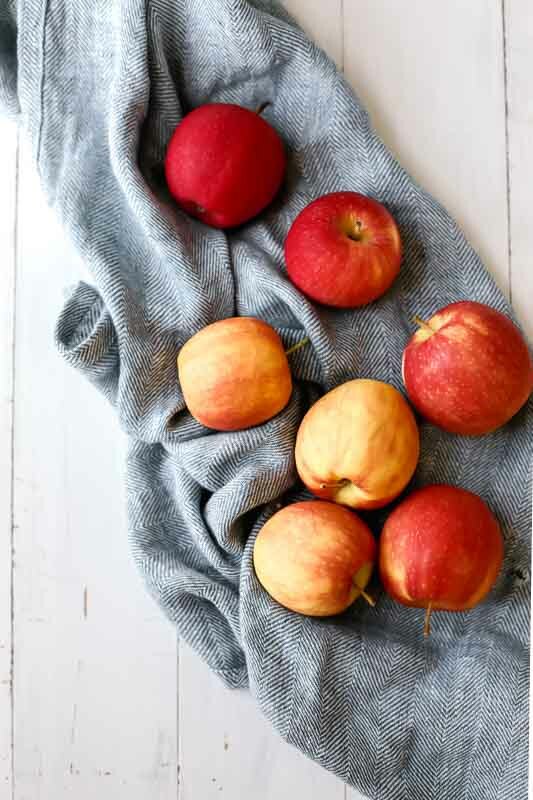 😉 Add more honey, more granola, more apples, whatever you want to try! 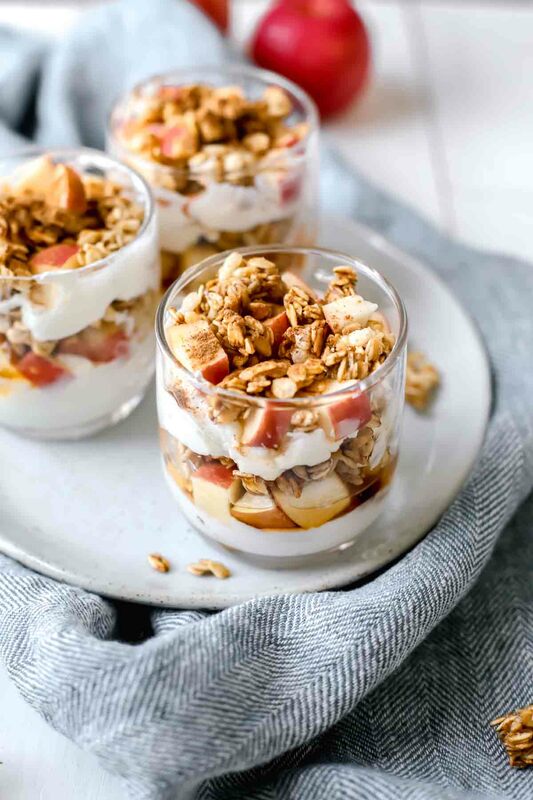 Layer the granola, yogurt, apple slices, and honey for each parfait.